For the third consecutive year running Border Movement and the Goethe Institut Colombo are throwing a party at a temporary location in Pettah, the old historical quarter of the Sri Lankan capital. The Pettah Interchange parties have slowly established themselves as a forerunner in D.I.Y. underground / make-shift club culture in South Asia. No red carpets, no VIP zones, no EDM and no brand sponsors. This year has an added emphasis on visuals. How the run down old Rio Cinema in Pettah will look will this saturday lie partly in the hands of Berlin’s infamous crew of visual media artists thePfadfinderei. They are most known as the people behind the live visuals and bold aesthetic branding of Berlin giants Modeselektor, Moderat and Paul Kalkbrenner. 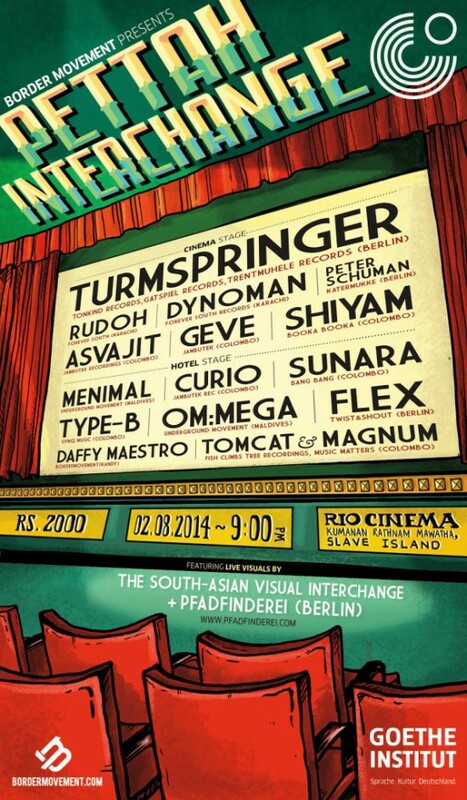 Pfadfinderei have been invited to direct the Border Movement powered ‘The South Asian Visual Interchange’ which is taking place this week in Colombo.They are currently collaborating with a selection of media artists from India, Bangladesh and Sri Lanka and the results of their work this week will come to life on saturday night in the Rio Cinema. 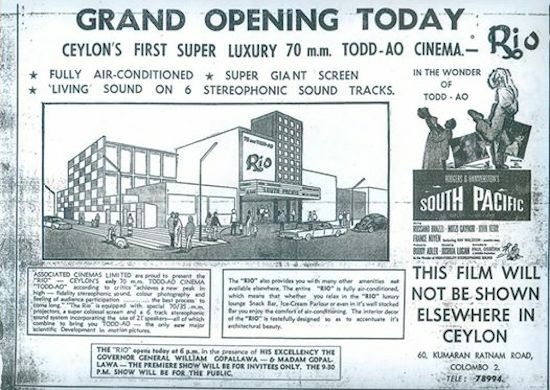 The Rio Cinema was originally part of a hotel that was built in the 60s but was burned down during the 1983 riots. Continuing in the grain of last years line up where BLOT! and Sanddunes from India upped the South Asian artist contingent , this year brings together a diverse range of DJs and artists from Pakistan, the Maldives as well as Sri Lanka and Germany of course. We are very excited about this event!It is incredible to see so many people work together on a tight schedule to realize this annual one-off event.A lot of love and energy goes into making something that does not often happen in quite the same way in the centre of Colombo or in many capital cities in South Asia or the world for that matter.